This is not so much a story about my weight loss journey, it’s so much more about what God has done in me. I feel like I have been on a weight loss journey my whole life. The earliest I remember being on a diet was when I was 12 years old. 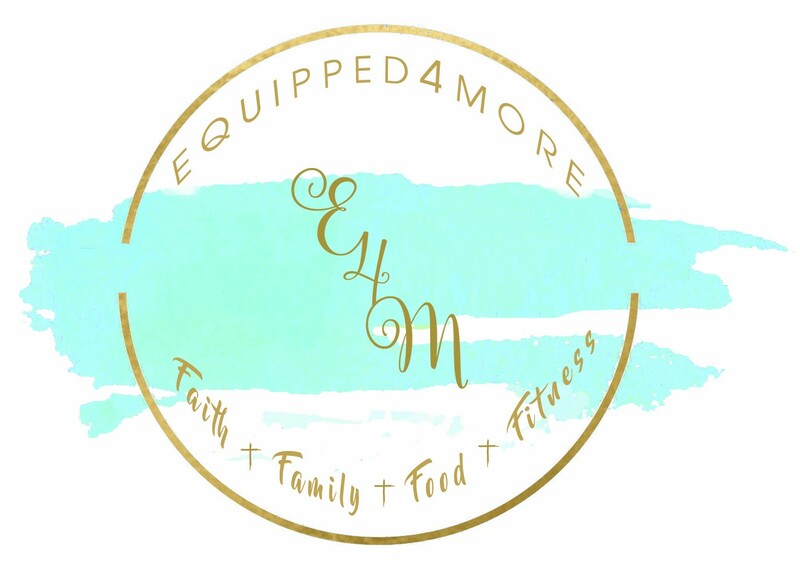 My transformation journey started as a path to physical health and wellness, little did I know the spiritual healing that would come as well. My rock bottom came in September of 2017, after I had attempted to complete a “Great Inflatable Race” with my family and my brothers family. This is a 5k with big bouncy inflatables that are obstacles. I thought no big deal, everyone planned on walking it. In my blindness I felt sure it would be easy. I was on the second obstacle and I fell right at the beginning of it. I literally could not get myself up. I had no core strength, let alone my weight hindering me. I finally got myself to a standing position, everyone else was through the obstacle. There was a hill I needed to get over, but I could not pull myself over it. I couldn’t go back out, so I started jumping up and down, hoping someone would see me. My husband and my brother came back onto the obstacle and both of them had to help pull me over it. “BOTH of them”!! Everyone was so kind, “Lisa it was underinflated” sure but everyone else made it. I walked around the remaining obstacles. Then I became aware of something I was doing unconsciously, to get to a sitting position or roll over in bed, I was pulling myself up with the bedsheet. A voice was whispering something needs to change. You’re going to be 55, not 95. I would see Julie’s posts, then finally in November I saw her post one evening about her eight week transformation. I told my husband that I really wanted to try it. His first response was now, it’s about to be the holidays. I said “yes” now! I now realize that God moved me to walk this path with him, during the holiest times of the year. I walked this journey through his nativity and through his death and resurrection. God is so good!! And so, I reached out to my beautiful sister-in-law. I honestly didn’t even know what my weight was, until my first weigh in. Of course I had some idea, but I had avoided scales at all cost. Even in the past when I would go on a diet, I would never get on a scale. When my clothes got loose, that’s all I needed to know. When I would go to the doctors, I literally closed my eyes, when they weighed me and would ask them not to say it out loud. November 19th, 2017 Weight 190lbs. I’m thankful for: God moving me to begin this journey by placing Julie in my life. Upcoming goals: To be successful one day at a time. My long term goal is to be healthier and more physically fit than I have been in a long time by my 55th birthday in July. My prayers: Holy Father send your Spirit to strengthen me, mind, body and soul. Never loosing site of my goals. And so I began, I think my first post in the group was after I had more of my blinders removed. I thought for sure breakfast had been my lowest calorie meal of the day. So most mornings I would have a piece of wheat toast with peanut butter and jelly and a 12 oz cup of coffee with creamer, to be more truthful I had a 12oz cup of creamer with coffee. That meal alone was more than 600 calories. Are you kidding me, is all I could think. Then I believe it was that moment, I said okay God let’s do this!! I was no longer going to be afraid of the scale or of food. I haven’t had a cup of creamer and coffee since and haven’t even wanted a cup. Let me share that this was just about the first thing I thought of every morning! As I reached that first big goal of 20lbs, I remember thinking you should celebrate, AKA “Go get something really good to eat, AKA probably deep fried with cheese on it or in it! I instantly heard a voice say…..Isn’t that what got you to this place Lisa?? I have honestly not had the Lord speak to my heart as much as he has the last 5 months. And that’s when he honestly brought me to my biggest healing. I had been conscious of spiritual struggle for some time. When people around me would have success, especially with weight loss, I found it difficult to be completely joyful for them, as knew I should be. Oh I could say congratulations or like a post, but I felt something inside that was not of God, I know because it did not feel good. 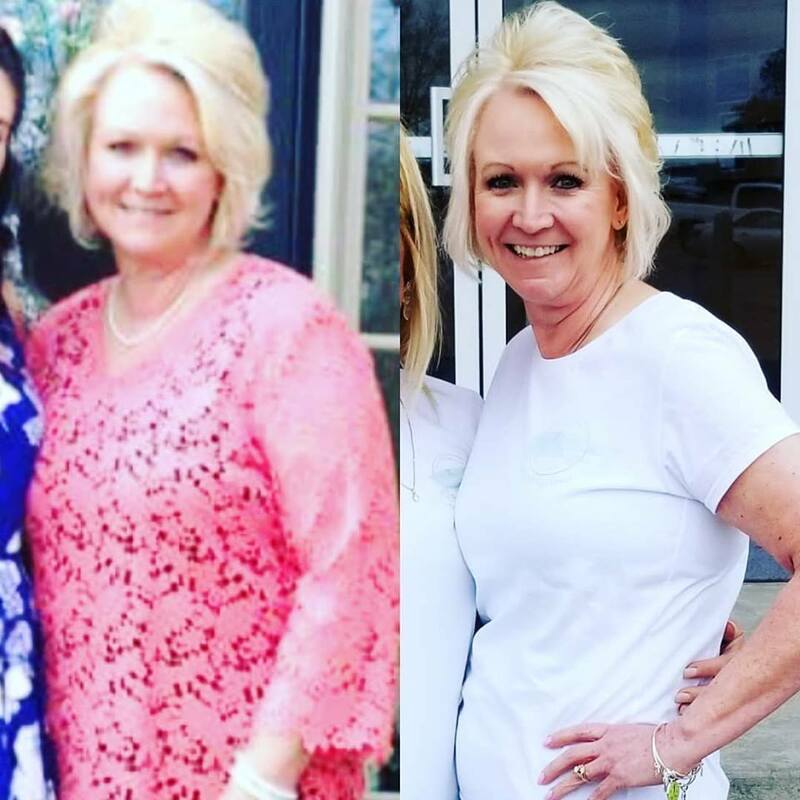 So right now, Julie I don’t know that I “EVER” told you as you started and completed your weight loss journey, how happy I was for you, how beautiful you are and how proud I was of you. But I’m telling you now!! Then he revealed to my heart “the why” I wasn’t able to be joyful for even the ones I loved the most. He revealed to me it was about love. But I loved?!? I said. It wasn’t about me loving others, It was that I didn’t love myself, as he loved me! I had to first truly love myself, just as he loves me to be able to be that love and joy to the world around me. Then my heart heard: Let go of the physical weight, let go of the weight of your sin, you are forgiven!! I wept! 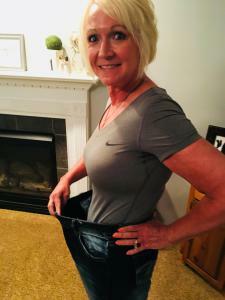 Being a visual learner and God knowing me as he does, He had me picture in my mind my walk with him throughout my life, then he said “Turn it and picture it”…this has been you weight loss journey through your life. As long as I keep my eyes fixed on Jesus, I am confident this is my last weight loss journey. “She is clothed in strength and dignity, and laughs without fear of the future.” Proverbs 31:2.